Aikido is a perfect martial art for children. Because Aikido strengthens not only the body but also the mind and spirit, your child gains a strong sense of focus and self-confidence. Children practice in a friendly, coed atmosphere. 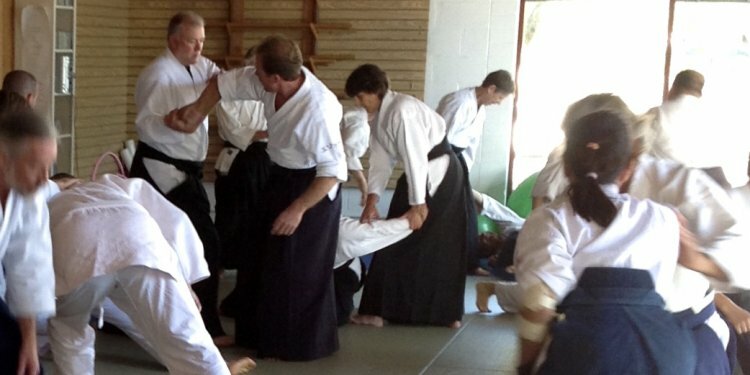 Our specially qualified instructors use games, techniques, and tumbling exercises to teach children how to defend themselves without hurting others. It is difficult to describe Aikido in words. The best way to understand it is to visit our school, watch a class, and decide for yourself if Aikido would benefit your child! The founder of Aikido was known as one of the strongest warriors in Japan. He mastered many of the fighting arts before developing what many believe to be the ultimate martial art - Aikido. Unlike traditional combative arts, the defensive nature of Aikido teaches children how not to fight. Aikido helps children learn to deal with difficult and stressful situations in a relaxed, assertive manner.